Science – every day's a holiday! 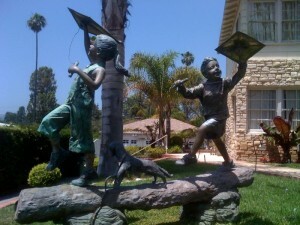 June 15 is Fly a Kite Day (or Go Fly a Kite Day), ostensibly honoring the anniversary of Benjamin Franklin’s famous electricity experiment in 1752. However, Franklin never specified the date of the experiment. Written records reveal that he only narrowed down the timeframe to a month (June 1752) a full fourteen years after the fact. Strange circumstances like these have led some historians to cast doubts as to the veracity of the entire experiment. In Bolt of Fate: Benjamin Franklin and His Electric Kite Hoax, Tom Tucker points out that the main evidence we have of the experiment, besides Franklin’s recollection 14 years later, is a single article he wrote about it for the Pennsylvania Gazette in October 1752 (and later published in Philosophical Transactions). The article leaves out several pertinent details, such as dates, witnesses, and oh yes, whether or not Franklin performed the experiment at all. The article is written as sort of a “how-to” description. 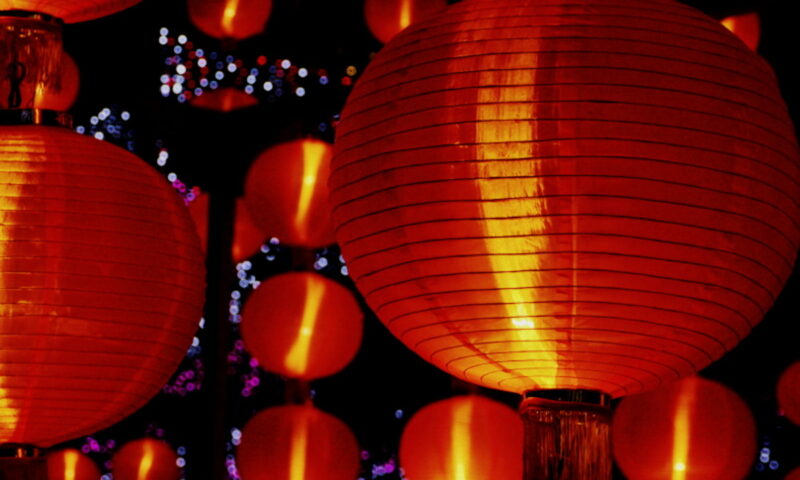 It contains details of how to construct a kite out of silk instead of paper, attach the key, and so on. But it never actually goes so far as to say the author actually carried out this task to its full extent. But the article does encourage the reader to go out and try an experiment that is more than likely to kill him. Whether Franklin realized this and this was just part of his conniving sense of humor is unknown. Tucker argues that Franklin later chose June as the month of the experiment had occurred because French scientists had been conducting similar experiments on electricity across the Atlantic in May of 1752. It would have taken 6 weeks for such news to reach Franklin. Thus, in June his experiment would have still been an inspiration from God, as Franklin’s biographers insisted. Whereas in July it would have just been a copy. Not all historians agree with Tucker’s hypothesis. 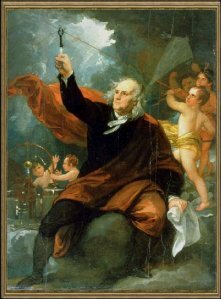 Franklin is generally credited with proving that lightning is a form of electricity through a kite experiment so simple that it swept the rug out from more advanced scientists on the other side of the Atlantic. Either way, don’t try it at home! July 22, or as it’s affectionately called across the Atlantic, 22/7, is Pi Approximation Day. But don’t let the name fool you. 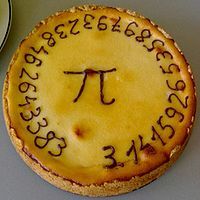 Unlike the more widely celebrated Pi Day (observed on March 14), 22 divided by 7 is actually a slightly closer approximation of Pi than 3.14. It just doesn’t get wilder than that. Later observances included the creation and digestion of the obligatory “Pi Pies”. Don’t you wish you could’ve been a fly on that wall? Apparently, this was like being at opening night of Star Wars. Or maybe more akin to catching an Offspring concert back when they were playing coffee houses. Say what you will, the Physics Department of the Russian Physical and Chemical Society knew how to party. 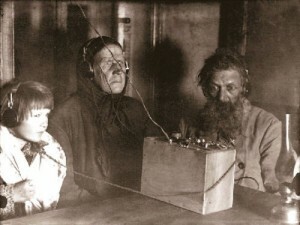 In Russia, it is a well established fact that Popov invented the radio. That ‘fact’ is, shall we say, less established in the West, where inventors like Guglielmo Marconi and Nikola Tesla got the credit, and more importantly, the patents. 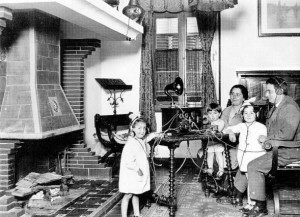 Ultimately, the creation and application of radio technology was made possible by the combined efforts of several scientists who each added vital pieces to the puzzle that would soon change the face of civilization. In 1898, Tesla showed off a radio-controlled boat in Madison Square Garden. In 1899, Marconi sent a wireless signal across the English Channel. Sir Oliver Lodge and Heinrich Hertz also made significant contributions. 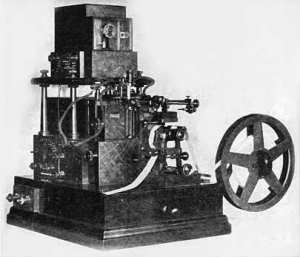 And in 1906 Reginald Fessenden conducted the first music/entertainment broadcast. And, as they say, the rest was hysteria. Within a few decades of Popov’s first demonstration, parents were already complaining about kids’ brains rotting away from listening to too much radio. So kids, the next time your parents complain about you wasting all your waking hours addicted to mindless drivel spewed by wireless devices, tell them their folks were doing it too! And bonus points for using the phrase “great qualities of mediocre clap-trap“. History of Radio — Who Invented the Radio? For thousands of years, humans stared at the skies wondering about the composition of the stars, lights that shined through pinpoints in the banner of heaven. It took millennia for our knowledge of the skies to coalesce. And it wasn’t until 1903 that Wilber and Orville Wright appeared to have conquered gravity, albeit briefly. Yet only six decades after that first flight, a human being transcended into outer space. 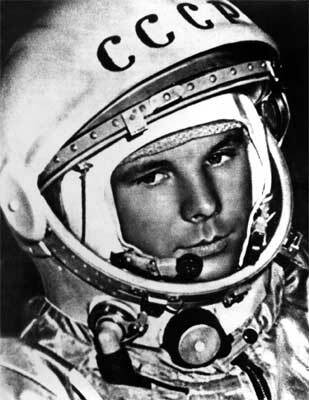 That man was Yuri Gagarin. The day was April 12, 1961—now celebrated as Cosmonaut’s Day. The 27 year-old Russian pilot stood only 5’2″, an advantage for the world’s first cosmonaut, crammed into the tiny cockpit of the spacecraft Vostok 3KA. The Vostok launched from Baykonur, Kazakhstan, at 9:07 am Moscow Time. The flight lasted only 108 minutes, but in that time Yuri Gagarin circled the globe, a feat that had taken Magellan’s crew three years. As late as early April there had been six contenders for the first cosmonaut. 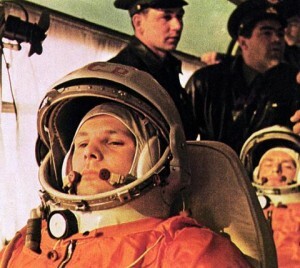 Gagarin wasn’t finalized as the pilot of the craft until just two days before the flight. And if some officials had their way, we would be celebrating “Herman’s Night” today instead of “Yuri’s Night.” Herman Titov was Yuri’s backup. The 20th century Icarus faired better than his Greek predecessor. Gagarin ejected from the crafted at 10:44 am and landed safely. His post-flight report wasn’t published until decades after the flight. By beating the first American into space (Alan Shepard) by one month, Gagarin helped the Soviet Union emerge as the apparent leader in aeronautic technology, and the space race was on. Yuri went from complete obscurity to a national hero—perhaps THE national hero for two generations of Russians. 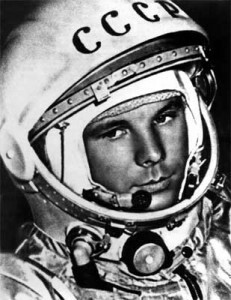 Gagarin legacy far outlasted his life. He died in 1968 in a training flight crash. He was only 34 years old. 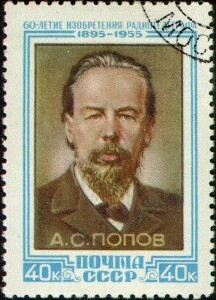 Cosmonautics Day was established by the Soviet Union in 1962. 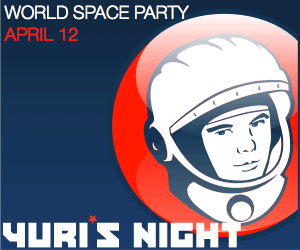 Today April 12 is also known as Yuri’s Night, celebrated around the world in honor of the 5’2″ giant who first touched the heavens.